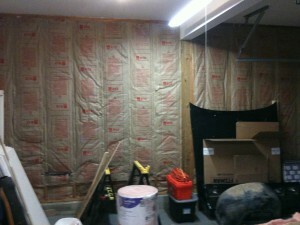 We got the insulation up in the garage this past weekend. My dad came down to help me (Thanks Dad!). Caulking and sealing holes/cracks took the bulk of our time. Putting up the insulation took maybe 3 hours once we got into a rhythm. 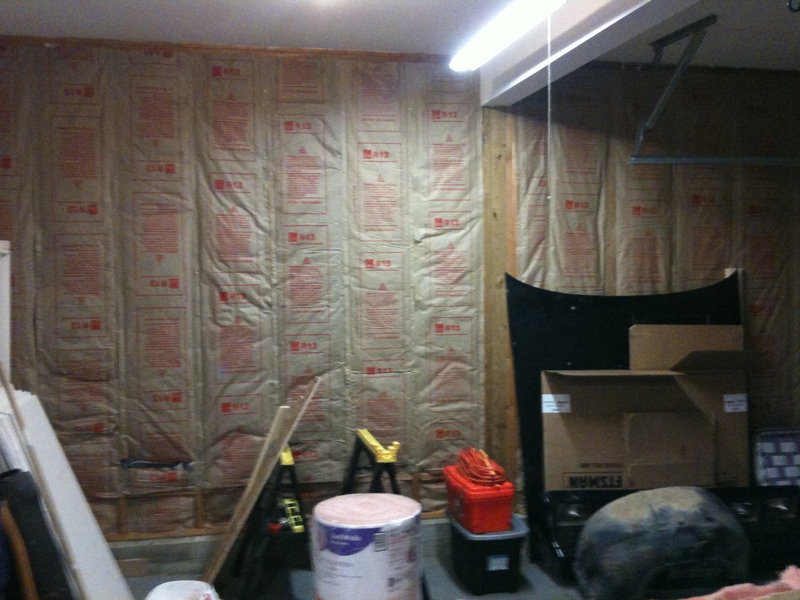 We used 7 rolls of 40′ by 15″ R-13 faced insulation, three tubes of caulk, and 2 cans of Great Stuff foam. This weekend we’re putting up drywall. I got lucky yesterday and bought the last carpenters 4 foot drywall square from Harbor Freight, which should make our job sizing the drywall easier. 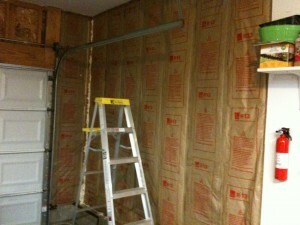 I’m still trying to decide how to insulate the garage door. Lowes and Home Depot sell kits, but they seem overly priced compared to using sheets of polystyrene insulation sheathing (foam board). 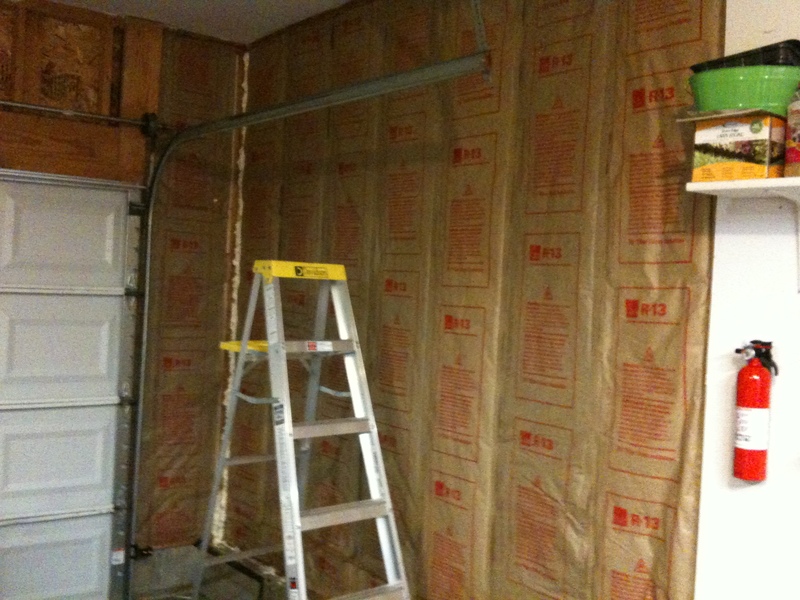 What would be perfect is a way to put the sheets of polystyrene foam board into the sections of the garage door then cover that with a flexible 16′ x 8′ sheet of white vinyl that will bend with the door when it opens and closes. Please leave comments if you have thoughts on this.